Atlanta’s Black Family Reunion is a community initiative designed to address the disparities, needs, and aspirations of the Black community in the areas of education, health and wellness, and financial literacy & prosperity. We accomplish these goals by educational and empowering seminars, interactive healthcare programming and activities, and business to consumer commerce via vendor/business program. Atlanta’s Black Family Reunion can be defined as a significant and one of a kind event that will give rise to the specific needs and interests of the African-American families . There will be various seminars such as single mothers with children, life after divorce , save our sons as well as other critical issues facing African-American Families. Along with seminars, there will be many vendors and great entertainment for the whole family. Lamont Stanley is the CEO of KLS Direct Marketing as well as the founder of Atlanta’s Black Family Reunion . Founded by Stanley in November 1999, KLS Direct Marketing, Inc. sends out advertisements aimed at African Americans. 1million African- American in major markets, including New York, California, Chicago and Atlanta, have received KLS Direct Mail program, Imani Direct in their mailboxes. Many companies like Walgreens, Proctor & Gamble, Kraft Foods, and Lawry’s Seasoned Salt, SC Johnson, KFC, Coke have used KLS Direct Marketing, Inc. advertising, along with Black Entertainment Television (BET), Ebony Magazine and other media that target African American consumers. Because of KLS Direct Marketing, Inc.’s growth, the U.S. Postal Service promoted Lamont Stanley in seven magazines with a full-page, four-color ad, which ran in Black Enterprise Magazine, Upscale Magazine, as well as regional and local publications. 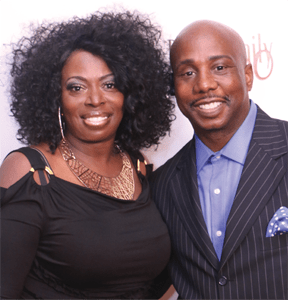 In recognition of his success as a business owner, Stanley has been interviewed on ABC and NBC affiliates and WVEE (V-103), the top-rated radio station in Atlanta. Recently named by Chicago-based Being Single Magazine as one of the nation’s “Single Black Men on the Move,” Stanley was selected to participate in a panel discussion at the Black Enterprise Conference as well as highlighted in an article in Black Enterprise Magazine. Lithonyah (Tonya) Range is a Cleveland, Ohio native & founder of Gamut Marketing Group, Tonya started a broadcast career as a Sales Assistant at WZAK, WZJM & WJMO radio stations in Cleveland, Ohio. Her passion for creativity was the motivation behind her spending much of her free time assisting the promotions department. This later led to her transition from Sales to Promotions and eventually moving to Atlanta Georgia and Jacksonville Florida as the Marketing Director with Clear Channel Radio Station, under the guidance of SVP of Urban Programming Doc Wynter. As life oftentimes comes full circle, Tonya later returned back to Cleveland to head the Marketing Department for WZAK & WJMO Radio Stations. After spending 15 years as the creative force behind Radio Jocks, Sales Clients, Promotions, Marketing and Community initiatives, with the support and encouragement of family and friends Tonya stepped out on Faith and formed a full service Marketing & Event Planning Firm called Gamut Marketing Group, where she uses her Sales & Marketing talent to create non traditional Marketing & Branding opportunities for sponsors at National Conventions and Expos such as the Atlanta Sisters Expo, The Funk Fest, The Soulfood Festival, Macy’s Music Festival, Essence Music Festival, A Taste of Chicago, the Indiana Black Expo, The Heineken Red Star Soul Event, The Bronner Brothers Hair Show, The Women of Soul Music Conference, The Budweiser Superfest, The OJay’s Family Reunion Event, The UniverSoul Circus, The Budweiser Calendar Search and more! Tonya is proud to have attended HBCU Tuskegee University, where she gained life changing knowledge and passion towards issues facing the African American Community. Tonya earned her B.B.A. in Business Admin/Marketing and to date, her biggest accomplish is being the mother to her son Kelly, guardian and mother figure to her nephew Darrin and niece Daneisha. Keith R. Foster is a College Park Personal Injury Attorney and Criminal Attorney with education and experience you can trust. He is a graduate of Morehouse College and The University of Tennessee College of Law and has been a trial attorney for eleven years. Mr. Foster served as an Assistant District Attorney in Fulton County, Georgia for more than five years and as an insurance defense attorney for State Farm Insurance for three years. With this experience, he knows how the opposition operates. He will use his immense experience to make sure that you get all the money you are entitled to receive. As a reputable personal injury attorney in the Atlanta and College Park area, Mr. Foster puts 100% into every client’s recovery. As an experienced criminal attorney in College Park, Mr. Foster will fight without wavering when it comes to defending your rights. Jeffray Q. Taylor is a licensed certified public account in the state of Georgia. He brings over 23 years of combined experience in finance and operations primarily in the healthcare, public accounting and manufacturing industries. He also has clients in a variety of businesses including the legal, entertainment, food and construction industries. He received his Bachelors of Business Administration in Accounting from Georgia State University and became a licensed Certified Public Accountant in 1989 after sitting for the CPA exam and serving at Deloitte & Touche for 3 years. He has managed corporate finances for organizations ranging from $4,000,000 million in revenues to $50,000,000 million in revenues. Mr. Taylor is currently the Chief Executive Officer of Oakhurst Medical Centers, a non-profit healthcare clinic, in Stone Mountain, Georgia and resides in Lithonia, Georgia with his wife and 2 children. Time to the Big Day!